Ongoing wave of chilly temperature in combination with the east wind convergence have created medium- heavy rainfalls in the central provinces from Quang Tri to Quang Ngai. Medium- heavy rainfalls hit the central provinces from Quang Tri to Quang Ngai. 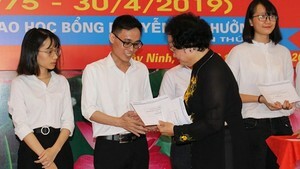 Flashflood as well as serious flooding would follow prolonged heavy downpours in mountainous and low- lying areas as Ba To, Minh Long, Tu Nghia and Son Ha districts in Quang Ngai, Nui Thanh of Quang Nam, the National Hydrology Meteorology Forecast Center warned on Tuesday. In the early morning, an average rainfall reached up 80- 100 mm in the central provinces. Within previous three hours, the high rainfall respectively gained 147 mm in Tam Tra, 143 mm in Xuan Binh (Quang Nam), 107.2 mm in Ba Lien, 120.2 mm in Nghia Tho and 140.8 mm in Long Son (Quang Ngai). Heavy downpours prediction will hit the provinces from Nghe An to Phu Yen with its rainfall of 20-50mm through Tuesday. 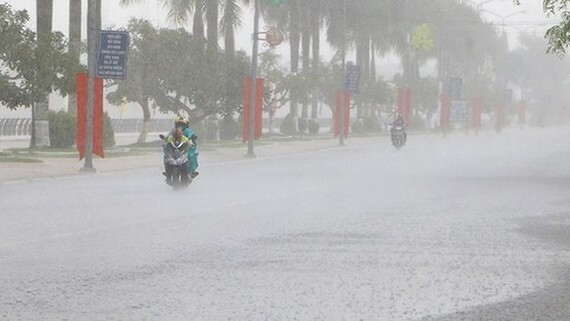 The bad weather of medium- heavy rains, cyclone, thunderstorms, lightning and gusty wind are forecasted to threaten the north- central provinces from Thanh Hoa to Thua Thien- Hue. The south- central provinces from Da Nang to Binh Thuan have also faced the same weather condition. Both central and central highlands regions are warned to have showers, thunderstorms, the northeast monsoon of level 2-3, air humidity of 50- 96 percent, minimum temperature of 24- 27 degrees Celsius and maximum temperature of 31- 34 degrees Celsius.